With many new models in the box of Nissan Motor India Pvt. Ltd, the carmaker has a default need of extension of its dealerships. 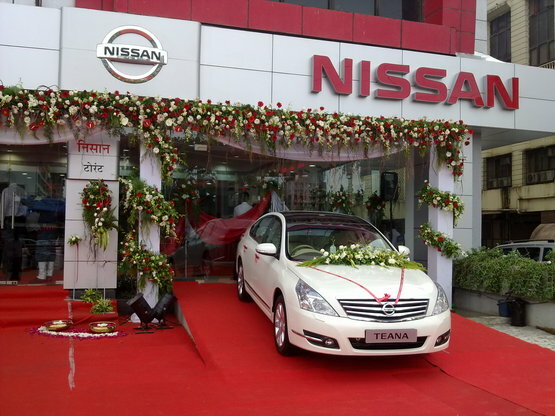 NMIPL yesterday officially announced the launch of its thirddealership in Mumbai, Torrent Nissan. It was Hover Automotive India’s Vice Chairman and Managing Director, Mr. G.M. Singh, who inaugurated the outlet. Extended over an area of 480 square meters at Andheri (West), Torrent Nissan will take care of sales facility of NMIPL. Automobile news industry had earlier witnessed Hover Automotive India and NMIPL making headlines. It was then that NMIPL was reported to have signed a sole and exclusive distribution agreement with the former, which took charge as Nissan’s national sales company. Apart from being the national sales company for the automaker, Hover Automotive India will also be the service partner for Nissan’s marketing, sales, after-sales service and dealer development in India. With the addition of the name, Torrent Nissan, the national dealership count of the automaker has reached the count of 68 in India.